DIVINATION is the act of foreseeing or foretelling future events or discovering information not accessible through the exercise of reason and the ordinary physical senses. 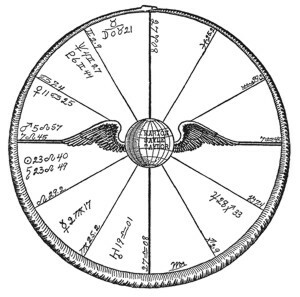 When this lesson was first issued, in 1923, there was a vast accumulation of scientifically checked evidence that man has faculties through which his mind can reach across space, and, irrespective of distance and physical barriers, perceive objects and events, and through which he can perceive events in the past and events in the future. But it was not until after the advent of the Pluto Period, commencing with the discovery of the planet Pluto in March 1930, that mass methods applied to experiments gave irrefutable evidence of such faculties in not less than a dozen universities and gained for the process the now universally accepted name Extra-Sensory Perception—usually abbreviated ESP—and for its use in perceiving that which is yet in the future the name Precognition. Red clouds in morning the sailor takes warning. Red clouds at night are the sailor’s delight. So too, here in California in winter, and elsewhere earlier in the season, when the nights seem cold but cloudy there is little fear of frost, but when nights become both cold and clear, frost warnings go out and the citrus growers prepare to light their smudge pots. In fact, out-of-doors people—sailors, lumbermen, stockmen and fruit growers—have a wide assortment of signs by which they attempt to predict the weather. The woodsman, for instance, examines the thickness of the bark on trees, and the Amerindian examines the quantity of food stored by chipmunks and squirrels, in an endeavor to predict if the approaching winter will be severe. They also believe if the cocklebur ripens early and hibernating animals go into their dens before the usual time that there will be an early winter. Whether or not such methods have any degree of reliability, any person using them in the attempt to foretell the future is practicing divination. These efforts to foreknow are not prompted by idle curiosity. Frequently preservation of life itself depends upon preparations based upon such foreknowledge. If the seafaring man waits until the blast strikes before furling sail, it may be too late. If the western stockman delays until the snow is falling to move his cattle from the high mountain meadows it is then usually too late. Many a huge band of sheep has perished thus in the High Sierras because it tarried a day or two too long. On the other hand the heavy snows may hold off another month, and if the stock can stay during this period on the free range, instead of being fed in the valley on costly hay, it may mean all the difference between profit and loss. The lumberman may find it necessary to get in his winter supplies before the rains soften the roads, and he may find it necessary to have his logs in advantageous positions before the spring thaw and consequent freshets, that the stream may carry them to the market. The Amerindian must regulate his stores of food and his movements more or less in anticipation of weather conditions or he may perish. And the fruit grower who fails to take warning of approaching frost may well lose in a single night the result of a year of labor. It will be seen, consequently, in these instances that success or failure, even life or death, may depend upon correct methods of divination. Such observations are quite commonplace. But if we take a step further and examine any person’s life, and every department of his life, we shall find that correct information as to approaching conditions and events may be made the means of making every such phase of his life more successful than it otherwise would have been. So often we hear the thought expressed that if one’s foresight were as good as one’s hindsight there would be no reasonable limit to what might be accomplished. There are opportunities surrounding every person, if the future could be clearly foreseen, that would lead on to worthwhile achievement. Doubt may arise as to whether the future may be foreseen and foretold, and doubt may be expressed as to the extent it is possible to foresee the future; yet no one, I think, will be so foolhardy as to deny that could the future be foreknown such knowledge would be of utmost value. As the type of divination to be considered in this course depends upon the exercise of Extra-Sensory Perception in what science now calls Precognition, I shall pass over the voluminous literature issued by the world’s greatest men of science giving conclusive proof of telepathy, clairvoyance, clairaudience and other supernormal sensing, to a consideration of this still more wonderful and useful phenomenon of perceiving that which is yet in the future. Fortunately there has been considerable effort made by men of recognized scientific standing in the larger universities of the world to collect and verify data bearing upon this subject. Bozzano has published what is said to be an excellent book on premonitions. Camille Flammarion in Death and Its Mystery, gives considerable attention to premonitions, and various other eminent writers on psychical research cite instances of premonitions that can be explained only on the basis of the existence of a supernormal faculty by which otherwise unknowable future events may be perceived. As this is being written, a radio program, which specializes in strange matters, frequently presents to its audience some individual who relates his own experience with precognition. To be eligible on this program the person relating the experience must have documentary evidence such as would be deemed valid in a court of law, of its authenticity. Joseph Banks Rhine, whose mass-method experiments with the ESP cards which he invented for the purpose, made the public conscious of the significance of Extra-Sensory Perception, reports numerous instances in his Duke University experiments which can be explained only through precognition. Authentic personal experiences indicate time is not a factor in telepathic communication. Possession of the ability to visualize in detail events which have not happened, a phenomenon science calls precognition, seems but slightly less rare than telepathy itself. In certain circumstances not as yet definable, certain individuals (mostly, though not exclusively, hypnotizable persons or mediums) can announce events to come, and give precise details on these events that are not as yet existent; details that no perspicuity, no coincidence, and no chance can account for the prediction. We are therefore driven to infer that the special, mysterious faculty that we have called cryptesthesia, whose nature and modes of action are unknown, is not only manifest for past and present facts, but also for future ones. After all, the metapsychic cognition of existing distant facts is so marvelous that cognition of the future is not so very much more extraordinary. A. knows B., six hundred miles away, is drowned. How can A. know this? We have not the least idea. A. announces that B. will be drowned tomorrow. It is only a little more marvelous. In the whole domain of metapsychic lucidity, so profound is the mystery and so impenetrable the obscurity that a little more or a little less mystery should not appall us. Are we then to conclude that time is only a notion of our defective mental constitution, that the future is irrevocably fated, that free will is an illusion, and that there is no moral responsibility? Long discussions might be raised on that text. I shall not enter on arguments that pertain more to metaphysics than to metapsychics, not allow myself to be led into vain speculation. I shall abide in the domain of strict facts. There are indisputable and verified facts of premonition. Their explanation may or may not come later; meanwhile the facts are there authenticated and undeniable. There are premonitions. Are these due solely to human intelligence, or to other intelligent forces acting on our minds? It is impossible to decide. We must be content with exact observation of facts. And it would be inexcusably rash to affirm, as I have boldly done, that there are premonitions, if abundant and formal proof had not been advanced. This abundant and formal proof has, I think, been given. So long a quotation would hardly be excusable were it not than in addition to the evidence proving precognition that almost anyone can find by looking for it among his acquaintances, it seems well that the public should know that the phenomenon has been exhaustively and critically investigated by eminent men of science and found to be true. One of the most thoroughly established foundations of present day physical science is that, as Einstein and certain physicists who preceded him pointed out time and velocity are always related to each other as a ratio such that when any new time condition is present the velocity on that time level can be determined by inverse proportion, and when any new velocity level is present the rate of time flow there can be determined by inverse proportion. In other words, as time increases, velocities slow down; and as velocities increase, time slows down. As explained in Chapter 9 (Serial Lesson 14), Course IV, Ancient Masonry, proof of such slowing down of time when velocities increase has been provided experimentally, and the time factor in the operation of progressed aspects in natal astrology depends upon this space-time interrelationship. Man normally lives in two realms. He lives, moves and is conscious in a physical world in which time is rapid and velocities comparatively slow. But his soul, which is identical with his unconscious mind, habitually lives in a realm where velocities are greater than the 186,173 miles per second which light, radiation and electromagnetic waves travel when unimpeded. Yet the mathematicians, headed by Einstein, hold that physical velocities cannot exceed that of light, and that anything moving with the velocity of light no longer possesses length, has infinite mass and so is impervious to the pull of gravitation, and that for it time has come to a standstill. In other words, in the region where the soul chiefly functions, on the inner-plane or astral world, velocities are greater than those of light and there consequently is a different order of gravitation, a different order of distance, and a different order of time, all of which is explained more fully in Chapter 11 (Serial Lesson 16), Course IV, Ancient Masonry. Connecting these two realms in both of which all incarnated life constantly functions, are light, electromagnetic waves and radiations which have velocities approximately those of light. 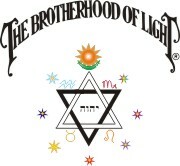 And, as explained in detail in Chapter 6 (Serial Lesson 11), Course IV, Ancient Masonry, the region where mind functions, the astral realm, can be affected by physical conditions only by first communicating its motions to this Boundary-Line energy; and vice versa, the astral realm and mind can contact and affect anything physical only through first communicating energies to this Boundary-Line electromagnetic energy which then passes it on to the physical. When the attention, sustained by electromagnetic energies of the frequency of the Cerebral System, is directed to perceiving objects on the physical plane, there is objective consciousness of the reports of the physical senses; and when the Attention is directed to cerebral processes the energies stimulate and support objective thinking. Sleep is a no-man’s-land between such consciousness on the physical plane and consciousness on the astral plane. From that state, to the extent the Attention can mobilize electromagnetic energies of the cerebral frequency and direct them to happenings on the physical plane, is the sleeper aware of what is going on about him in the physical world. Physical sensations thus reaching his consciousness afford suggestions which give trend to his dream. In this state of sleep, or a similar condition induced for the purpose, if the Attention moves neither out to become conscious of the material plane, nor in where velocities exceed those of light, the consciousness remains chiefly linked with electromagnetic energies, and because it is not fully conscious on either plane, but in the no-man’s-land where Boundary-Line energies are dominant, it is highly susceptible to suggestion and devoid of discrimination. The subconscious mind referred to by many writers is a consciousness functioning almost exclusively in this Boundary-Line region. Electromagnetic waves, as we see demonstrated in radio, have the power to move almost instantly to distant places on the earth. They have the power to make considerable impact on a suitably tuned instrument at a distance; but to do much work thus at a distant point the receiving set must itself provide electrical energy suitable to amplify the modulated carrier waves picked up. Consciousness can be extended in association with electromagnetic waves. It can make an impact thus on those at a distance, and have considerable influence provided the receiver is tuned to the same frequencies and is generating electrical energies suitable for amplifying what is thus received. And consciousness thus extended in association with electromagnetic energies can become aware of distant happenings on the earth, and to a limited extent even of events yet to come. Extension of consciousness occurs in many degrees, all the way from the perceptions of the physical senses on the plane of matter, through the region of Boundary-Line electromagnetic energies, to the various ascending levels of the astral world into a region which has still higher velocities called spiritual. In the no-man’s-land of sleep if the Attention is turned to the inner plane, the consciousness in some degree becomes aware of stimuli reaching it from the astral realm where, as velocities are greater than those of light, time relations, as well as those of distance and gravitation are of quite a different order than those either on the physical plane or in the electromagnetic Boundary-Line region. Almost anyone who will systematically endeavor to do so, and thus turn the Attention of his soul to the inner plane during sleep, and over a few weeks keep a careful record of his dreams, will become convinced that his consciousness has become aware of some events long before they happen or could be surmised from ordinary waking sources. To keep such a record, the dreams should be written down in full detail in the morning before thinking about them. In the state between sleep and waking there is usually remembrance of dreams, but it is largely destroyed as soon as cerebral thinking commences. It is not to be expected that such dreams at first will give full and correct pictures. But fragments recorded will so amazingly coincide, either actually or through symbols, with some of the situations or events which occur a day, several days, or even weeks later, that little doubt will remain that some portion of the consciousness has precognition of some events. Such dreams should be regarded, not as complete inner awareness of the details of the future event, but as a distortion of the fantasy thinking common to the no-man’s-land of sleep by the impacts of stimuli relating to the event from the astral plane. They should be considered in the category of imperfectly perceived conditions, just as stimuli coming from the outer world also distort the fantasy thinking common to sleep. Too many covers, producing the sensation of weight, may cause an individual to dream of being between the closing jaws of some huge press; or if they cause him to become too warm, he may dream of being in the tropics. The exact trend the fantasy will take depends largely upon the power of desires in his unconscious mind, his experiences in the preceding waking state, and past experiences in his life which have conditioned his mental associations. The stimuli reaching his consciousness in the no-man’s-land from either the outer plane or the inner plane under such conditions is not powerful enough to displace the fantasies passing through the mind, but only to warp them from their course and to inject into them an occasional image, symbolic or real, pointing unmistakably to the source of the stimuli. Yet just as consciousness can move out from the no-man’s-land of sleep where Boundary-Line energy and suggestion chiefly prevail, to become vividly aware of the happenings on the space-time ratio which we call the physical world, so also can it, through diverting sufficient electrical energy to upper-octave electromagnetic radiations which are transformed into inner-plane energies, and holding its Attention there, move out on the astral plane where a new order of space-time relations prevails. Unlike the physical world, this astral world has numerous levels of existence on each of which a wide variety of life functions. As explained in detail in Chapter 11 (Serial Lesson 16), Course IV, Ancient Masonry, an astral entity, or the consciousness of an individual yet on the physical plane, is pulled to the basic astral level by its dominant vibratory rate, much as gravitation keeps physical objects fastened to or near the earth. Every physical object has its astral counterpart, even though there are many astral objects and entities which have no physical counterparts. And as distance on the inner plane, as explained in Chapter 11, Course IV, Ancient Masonry, is not of the same order as on the physical, but is the relation between vibratory rates, consciousness functioning on the inner plane can bridge the distance instantly to any object or person on the inner plane, including the astral counterparts of any thing physical, to which it can sufficiently adjust its vibratory rates. 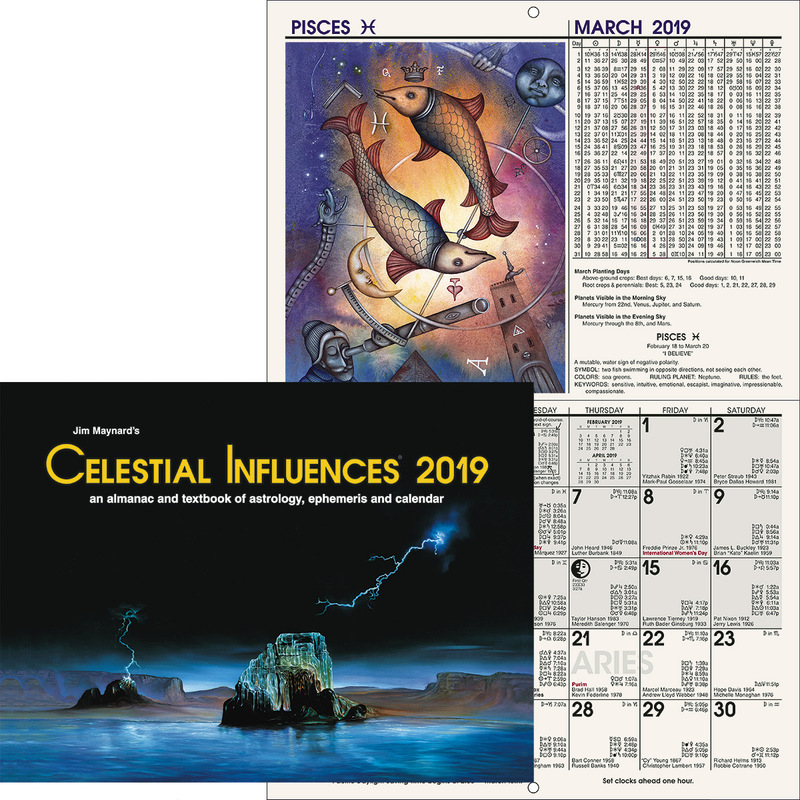 Much experience with astrology and with prevision has brought the conviction, born of actual observation rather than of theory, that events which have not yet come to pass are not fixed unalterably along the time dimension. It is true that mathematically time can validly be considered as the fourth dimension. The soul, or unconscious mind of an individual, is the organization in finer than physical substance of the sum total of his past experiences. It and all objects, move along this fourth dimension we call time. The line of movement of anything thus through time is called its World Line. All back of the Now point in each object’s or soul’s world line is fixed in the time dimensions; its place at any moment of the past cannot be altered. And when the consciousness is extended to an object or person on the inner plane, this world line can be perceived, and if the attention can be focused on any particular point in that world line, what happened at that time in the past, with details of the conditions affecting it can be perceived. Atheistic materialism, with its view that life is nothing more than a mechanism, postulates that time in essence is not different from the other three dimensions. It holds to the attitude that what appears to our consciousness as the passing of time is in reality our consciousness moving along a fixed time dimension in which not only the past, but also the future, is unalterable. It takes this view because it denies the existence of a soul which functions apart from physical conditions and which possesses intelligence and initiative to change the future of its world lines; for in a perfectly predetermined scheme of things, in a universe where all conditions are caused by purely mechanical reactions, the world lines would thus be fixed throughout their total length. However, it is easy to fall into the erroneous assumption that a mathematical formula which is valid for objects possessing neither intelligence nor initiative, is equally valid for intelligent life. But nowhere have we witnessed any work by these atheistic materialists which would prove any such unwarranted assumption. As a matter of fact, it is merely the extension of their prejudiced assumption that mind cannot exist apart from a physical body, and is merely one function of the material organism. Yet there is a tremendous volume of evidence available to prove the survival of personality after physical dissolution, and to prove that the soul, even while still occupying a physical body, can exercise ESP and EPP (Extra-Physical Power) in violation of the very mechanical principles on which the atheistic materialists base their conclusions. Instead of time being a dimension in the same category as the other three, it has a unique quality of flexibility such that, within certain limits, world lines extending forward from the Now point can be changed through intelligent initiative. In other words, in so far as the future is concerned, the position of a soul or object along the time dimension is subject to the power of mind. This flexibility in response to the action of mind is due to the mind occupying a region where velocities are so great that ordinary time no longer exists and a new order of duration has taken its place. Consciousness on the astral plane has moved out and away from the ordinary time dimension—for according to the mathematicians, at the velocity of light ordinary time comes to a standstill—but is still able to view events along the ordinary time dimension. By way of illustration let us suppose that equipped with a powerful telescope we leave the earth in an airplane capable of climbing into the stratosphere. At the time of making this ascent a recent fall of snow has spread its mantle over the landscape. While we were walking about the surface of the earth unequipped with the telescope our view of things was limited by the weakness of our eyesight, by obstacles, such as trees and houses and mountains, and by the curvature of the surface of the earth. The tracks people and automobiles were making in the snow could be observed only over short distances. But as we ascend toward the stratosphere the whole country spreads out before us. Buildings and trees and mountains no longer obstruct our view. By training our powerful telescope on the tracks in the snow—as we observe world lines on the astral plane—we can trace the movements of pedestrians, automobiles and animals. If necessary we can move back long distances on a particular track in the snow, and through the higher velocity which our airplane gives us, follow the track up to the Now point, where the track maker is now located. Scrutiny of his track will give us considerable information about what he did at various points in his journey. 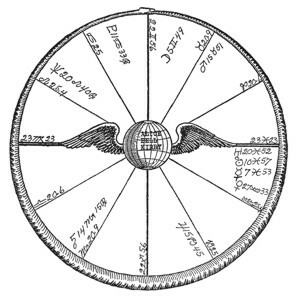 And from observing the direction in which the track has come, and the direction the track-maker continues to move, we may be able with much accuracy to project the track—comparable to his world line—into the future and state where he is going and about when he will arrive at a certain place. Furthermore, by observing from our airplane the movements of others, and their world line like tracks, we may be able to foresee when such individuals will encounter our track-maker, and come to a conclusion as to the probable result of the meetings as influencing his conduct. Or from our vantage point we may see ahead of him a raging river, with the bridge washed out, and decide he will be compelled there to turn from his original course. Before deciding this, however, we will probably look ahead of this track-maker’s Now point—which we can easily do with our telescope—and observe if, from some distant point a repair crew may be on its way to make crossing the river possible. The action of such a repair crew, and the action of the track-maker, are not inevitable beyond their Now points. A message dropped by us from the airplane—or reaching them through divination or knowledge of astrology—readily could change the direction of travel—world line—of either. Neither the repair crew nor the track-maker is aware of the existence of the other, and the track-maker is unaware that at a certain point in his future he will come to a raging torrent which he will be unable to cross unless a repair crew, of whose existence he has no knowledge, arrives on the bank of the river and through its work repairs damage he has no way of knowing about. Consciousness functioning on the inner plane not only has the advantage of the wider view we enjoyed looking through the telescope in our imaginary airplane survey of conditions, but facilities for grasping in detail innumerable world lines which may have some bearing upon the future of some particular world line we are exploring, and tremendously increased powers of correct deduction from the multiple factors thus apprehended. Looking along such a world line and projecting it into the future it views a place where, due to the converging of other world lines whose directions are plainly visible, a certain event, unless these world lines are suddenly changed through the intervention of intelligently directed initiative, will take place. On the inner plane thought is the objective reality; that is, in a thought-built region, thought-created structures are as real as the astral counterparts of physical things. They may, or may not, according to the type of energy used in their building, be as permanent as the astral counterpart of such physical things. But so long as they last they can be seen just as the astral counterparts of physical objects, and the astral bodies of discarnate souls, can be seen. I think all of us have witnessed conditions parallel to two autos speeding toward an intersection, the drivers for some reason oblivious of the approach of the other car from a street at right angles. When the speeding cars—perhaps we were back-seat passengers in one of them—were so close that collision seemed inevitable, our imagination supplied the detail of the crash so that we visioned flying glass and battered iron, and bracing ourselves felt the shock of impact. Yet the crash was not inevitable until the cars actually met. Possibly our shout of warning called the attention of one or both drivers to the danger just in time to enable a quick swerve to avoid disaster. On the inner plane where thought is the dominant force, the correct mental imagery of the details of some event that seems inevitable because various world lines are converging to make it happen, takes on a reality many fold more vivid than such mental images assume on the physical plane. They become temporary thought structures which can be seen, or heard or felt, by the astral senses, and as such become the source of precognition. Yet just as the cars in our illustration were not predestined to meet in a crash, events observed through precognition are not inevitable. In the first place, the deductions from the directions of their world lines may not be perfect. In the second place, as occurred in our car illustration, the interference of intelligent initiative may suddenly alter the course of one or more world line. Knowledge obtained through astrology or divination may not have been taken into account by the previsioning intelligence. The sudden interjection of information so acquired, and resolute acting based upon it, may so change the otherwise normal course of an individual’s world line that a given event apprehended through prevision will be markedly changed. The individual’s reaction to a given set of conditions is not predetermined. The probability may be high that he will do a certain thing. But until his Now point has reached the event it is not inevitable. Our power to alter conditions extends no great distance beyond our own reactions to the world lines of other individuals and other things. Knowing that a storm, either physical or planetary, is on the way does not give us the power to make the storm turn aside or abate. We can warn others of the storm, and urge them to seek shelter with us before it breaks. With knowledge of approaching conditions—including those of what others almost certainly will do—we have full liberty to seek shelter or stand bareheaded and firm under the sky glorying in the raging wind and drenching rain. We may be able to persuade a few to protect themselves from such a storm which, from the inner plane or through astrology we see approaching; or to take full advantage of fair weather and bright sunshine which we prevision. Yet the forces of nature are so stupendous, and the movement of the multitude so weighty that we cannot expect to change them to any great extent. But if we have precognition of the action of natural forces and the events which in great probability will befall our fellowmen, we are not subjects of blind fatality; for while not able to change such tremendous forces as exist outside ourselves to any great extent, we yet retain the ability to choose our own methods of meeting these environmental conditions. We cannot keep the earth from turning on its axis and carrying us in its daily circle, but we can determine whether that diurnal circle we each perform shall be large or small, and whether under hot skies or cold. If we prefer the heat we may move toward the equator and travel farther, but if we prefer the cold we may move away from the equator of the earth, and the farther we move the smaller becomes our daily trip from noon to noon. Perceiving the future does not imply, for us, fatality; for so far as we are concerned our actions may be changed and the future altered at any time before the presignified event happens. But such freewill implies two things: a knowledge of what is approaching in the future unless we do something special to change the course of our world lines, and intelligence and initiative enough to do the special thing required thus to alter world lines. Each person, by virtue of being human, has a soul, or unconscious mind, which is possessed of senses corresponding to those physical but which can be exercised on the inner plane, and which is possessed of faculties for appraising what is sensed and drawing correct conclusions. But that does not mean that every person has ability without training to use these senses and faculties effectively; no more so than the fact that every person has a brain implies that every person can make correct observations and draw accurate conclusions from them. Most people have a brain that, if they trained themselves, would enable them to solve reasonably difficult problems in mathematics. And most people have faculties which, if they trained them sufficiently, would enable them to become rather efficient in precognition; but only a few people—mathematical prodigies—can master mathematics without training; and only a few people—natural psychics—can get precognitions consistently without training. The training of the individual in the exercise of his soul senses—ESP—and in performing work on the inner plane—EPP—was a part of the work of ancient initiation. As much of the processes and principles of such training are set forth in Course IV, Ancient Masonry, as it seems wise to give the general public. Complete details and instructions are set forth in the NOT SOLD B. of L. lessons. This reserving of detailed instructions is not due to any desire to keep information secret. On the contrary, we desire as many as possible to have all the information we possess. But it is not wise to give formulas for making TNT and other deadly explosives to those who have no knowledge of chemistry; nor do we deem it wise to give too much instruction on the development of inner-plane faculties to those who are ignorant of the principles of occultism. 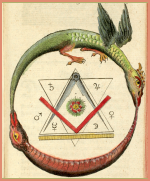 Any member who will through passing examinations demonstrate he has sufficient knowledge of occult matters safely to be entrusted with that knowledge, will be given, free of charge, the NOT SOLD lessons containing the designated information. As set forth in Chapter 13 (Serial Lesson 18), Course IV, Ancient Masonry, there are three methods of acquiring information from the inner plane. One of these methods—Mediumship—we do all we can to discourage. Another of these methods—Feeling ESP—we advise should be approached with caution. The third method—Intellectual ESP—in so far as our extensive observation with numerous students goes, seems both desirable and without danger. 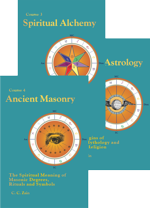 More details of the distinction among the three methods are given in Chapter 13 (Serial Lesson 18), Course IV, Ancient Masonry, but the chief differences are that in mediumship there is partial or complete control of the medium by some intelligence other than his own; in Feeling ESP the individual who tunes in on something or some entity has a lower potential in his nervous system or some part of it than that which is tuned in on, and picks up, radio fashion, the astral vibrations of that which is thus contacted on the inner plane, and “takes on,” or feels, the information sought; while in Intellectual ESP the individual maintains a higher potential than that contacted through extension of consciousness. Either Feeling ESP or Intellectual ESP can be exercised with equal success without a divinatory instrument or with one; but in Intellectual ESP, which alone we can give our complete endorsement, feeling or hypersensitivity plays no more part in the search for the required information made by the unconscious mind on the inner plane than it does in a similar search by objective consciousness made on the physical plane, nor are the emotions more active. The examination of conditions is conducted by the unconscious mind, or soul, on the inner plane and may include an inspection of the world lines as revealing past and probable future as well as aspects of the present about which information is sought. It is an intellectual appraisal the results of which are not communicated to other sections of the nervous system, but, much as something is remembered even though seen but a moment before, is communicated directly to the brain as an Intellectual awareness. Whether the less desirable Feeling ESP or the more desirable Intellectual ESP be employed, if information not available through ordinary physical channels is to be acquired the soul must exercise its senses or functions on the inner plane to apprehend the wanted information. After the soul has acquired the information about past, present or future, this information then resides in the unconscious mind, or soul, as a memory. Soul senses are incapable of contacting physical conditions directly. But they can contact the astral counterparts of those conditions and sense their world lines. Yet to be made available for physical use this information which has become a memory of an inner-plane experience must be brought up into objective consciousness. The interval between the astral experience and its objective recognition may be imperceptible, but thus to gain for it objective recognition it must be able to communicate its motions to electrical energies generated by the nervous system in such a manner that these vibrate the physical brain cells. All people have soul senses and soul faculties, and most have some ability to direct these senses and faculties into inner-plane activities by which considerable information is apprehended by the unconscious mind. Occasional strong inner-plane stimuli are sufficiently recognized by objective consciousness to be considered intuitions, hunches, or even undefined premonitions. 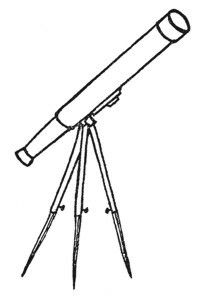 And nearly everyone, even without the more exacting training by which ESP (Extra-Sensory Perception) and EPP (Extra-Physical Power) can be exercised independently of any external crutch, can, through the use of some divinatory instrument learn to get considerable information otherwise unobtainable, including some precognition. Divinatory instruments vary, and are handled in different ways, but their function always is twofold: to direct the Attention and activities of the inner-plane senses and faculties toward obtaining specific information, and to aid in bringing that information, when the soul has acquired it, through from the inner-plane region to objective consciousness. Psychics in reporting on their experiences sometimes refer to quite a variety of planes and substances. Some refer to etheric substance, to the emotional plane and emotional substance, to the astral plane and astral substance, to the mental plane and mental substance, and to finer substances of still higher planes. Although our experiences are identical in most respects with theirs, we believe a different terminology is more scientifically accurate. Difference of plane does not depend essentially on vibratory frequency, or on coarseness of substance, but on the customary velocities of the region. Anything which has a velocity much lower than that of light partakes of the physical space-time relationships, and consequently can be considered physical. Anything which has a velocity greater than light no longer obeys the laws imposed by physical space-time relationships, and is astral or some higher order of existence. Velocities approximately those of light partake somewhat of the properties of both the inner and the outer plane, and are indications of the existence of what we call Boundary-Line substance, or electromagnetism. Now consciousness and sensation, thought and feeling, cannot be completely separated in view of the fact that all thought is accompanied by some degree of feeling and all feeling is accompanied by some degree of consciousness which in turn depends upon mental activity. The individual while occupying a physical body is dependent upon electrical energies for both thought and feeling. It is only when these electrical energies impart their vibrations to his nervous system that he feels anything, and emotion is the feeling produced by voluminous discharges of electrical energy in response to thoughts relating to various emergency situations. Other thoughts develop their own characteristic electrical discharges, which vary, due to their frequencies, in the kind of feeling produced, even as do the different emotions, and are of different volume and intensity. On the physical plane thought and emotion are not reactions to two different kinds of energy, but are different expressions of electrical energy as affecting the nervous system and recognized by consciousness. Nor is there on the inner plane one substance which reacts exclusively to emotion and feeling and another substance which reacts exclusively to thought. Instead, on any plane or level where the soul functions, it is capable of both emotion and thought. Nowhere is it devoid of feeling or of some degree of consciousness; but the quality of either emotion or thought is different on different vibratory levels. On the astral plane, as I have already indicated, there are a great number of levels on each of which conscious life can and does function. That which determines the level on which consciousness functions is the soul’s dominant vibratory rate at that time. Emotion on any plane is a response to thought, and the dominant emotion or mood determines the level of the astral plane to which the soul then moves. And it certainly is true that a consciousness which habitually engages in cold reasoning functions on a quite different astral level than does a consciousness which is habitually dominated by gusts of emotion. It is also true that the coarser emotions drop the soul to astral levels where the vibration is comparatively slow, while protracted mental effort in the attempt to solve some difficult problem carries the soul to a level of higher vibratory rates, and religious ecstasy takes it into regions of great vibratory frequency. Vibratory frequency, however, is not that by which different planes are distinguished, even though—as is illustrated between matter and Boundary-Line substance when material substance gains enough in molecular vibration to give off light—high frequency of vibration of lower plane substance may communicate energy to substance which, because of its velocity, belongs to the plane interior. That which distinguishes planes from each other are the velocities there commonly encountered. Mind functions in contact with various planes and various levels of those planes, and on them experiences emotion. And although until we arrive on the astral plane without physical bodies and through personal experience come to understand more fully how life performs its functions there it seems useless to say much about the plane still interior to it, yet there is a region of still higher velocities, which we call the spiritual plane. Most of that contacted by people who speak of the spiritual plane is really the higher, more spiritual levels, of the astral plane. And until we have had extensive experience with astral conditions, through actually living there without physical bodies to limit our conception, we can talk no more intelligently about condition on the spiritual plane than a student can talk intelligently about equations in calculus who as yet is only learning to add, subtract, multiply and divide the simplest kind of problems in arithmetic. I mean that, occupying the low-velocity, speedy-time plane of physical matter so much of our lives, the best we can hope to do in comprehending astral plane conditions is comparable to such simple arithmetical problems. However, just because as yet we cannot comprehend its problems, we need not deny the existence of regions to understand which requires an advance in our abilities comparable to that from elementary arithmetic to calculus. The prejudice against the use of divinatory instruments is not without some valid foundation; for those who, instead of using Intellectual ESP, cultivate hypersensitivity, sometimes get so accustomed to picking up the feel of things from the inner plane that it is difficult for them to shut out that which they do not wish to contact. This is not the fault of divination, but of using the wrong technique. To those who hold divination is the work of the devil, I would point out that all scientific investigation not so long ago was subjected to the same charge. But the churches today no longer consider the geologist, for instance, sinful for uncovering proof of the great age of the earth. And we may be sure, when the churches come to realize that through ESP people can acquire proof of the afterlife, and not be compelled to accept or reject it merely on belief, that they will welcome it as the most effective weapon they can use to bring about the defeat of atheistic materialism. March 1, 1925, 7:00 p.m. 92W. 31:30N. Data from mother by W. A. Clemmons. 1938, early in year remarkable phenomena began to take place in her presence: “yes” or “no” answers from dining room table, rising of table three feet from floor at her request, similar elevation of piano, instruments play tunes without human hands. By November, brought her national notoriety and her picture on front page of most newspapers. She was taken from Louisiana to New York to demonstrate her powers to scientists: Sun sextile Mars r, ruler of those dead; Pluto trine Sun r, Venus trine Saturn r.
August 16, 1889, 3:45 a.m. 86W. 38N. Data from a relative. 1904, appeared as boy organist at St. Louis World’s Fair: Mercury inconjunct M.C. r, square Jupiter r, sextile Venus p.
1909, broke hands in 32 places ending surgical and musical careers: Asc. conjunction Sun r, conjunction Saturn r, Mars sextile Uranus r.
1915, career as sociological educator: Sun semisextile Uranus r.
1922, first broadcast, instant success: Venus sextile Uranus r.
1928, adopted Voice of Experience as “nom de air,” net income said to be one hundred thousand dollars, half to charity: Mars trine Moon r.